A surfeit of carbon in the oceans is destroying coral reefs, home to a wide variety of marine life. But a few reefs may offer lessons for survival. Earlier this month, I posted about an improbably successful coral reef in the busy harbor of Cartagena in South America. Scientists were thinking that if they could figure out why the reef was doing well despite inimical conditions, they might be able to save other reefs. Now comes a story about scientists finding hopeful reefs in the Pacific Ocean and elsewhere. Josh Gabbatiss reports at the UK’s Independent, “Sections of coral in the Pacific and the Caribbean are fighting back against the global threats that have decimated reefs worldwide. While the discovery does not allow any room for complacency in the fight to save the world’s reefs from extinction, scientists are tentatively optimistic about what they can learn from these pockets of resistance. OK, I’ll let you read the rest at the Independent while I ponder the metaphors here. Since my sister’s surgery and her diagnosis of a serious kind of cancer, I feel like I’m living in metaphor, by which I mean a couple things. For example, I can’t read about certain reefs that heal themselves because they have unique characteristics (or about scientists racing the clock to figure out how to replicate that) without thinking about how every cancer and every patient’s response to cancer is different and how researchers and physicians are trying to understand all the ways that plays out (sometimes using genetics, like the coral researchers). I also mean that literary metaphor, especially poetry, is among the few things that can help me get my head around what is going on. When you can’t understand, metaphor can be calming and provide a sense that eventually there might be answers. 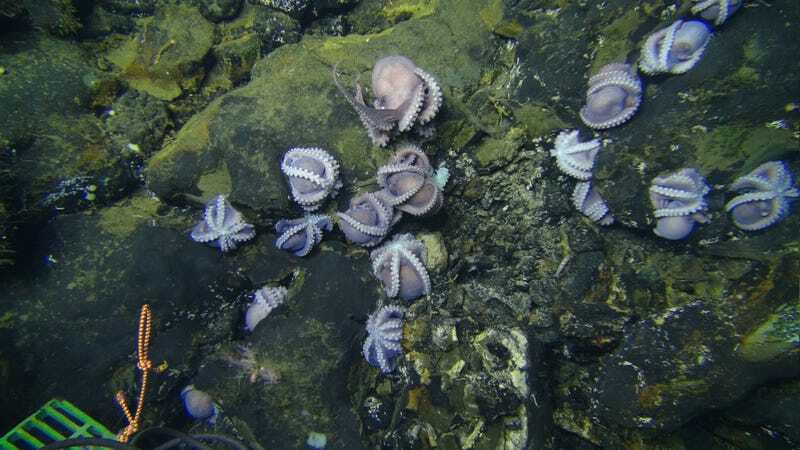 Seventeen octopods huddled on the Dorado Outcrop, two miles underwater near Costa Rica. Most are in a brooding (in the sense of baby-launching) posture. Maddie Stone reports at Earther, “Scientists have made a truly bizarre discovery on an expanse of cooled lava 150 miles west of Costa Rica and nearly two miles underwater. There, they laid eyes on more than a hundred female octopuses, tending to eggs that didn’t seem to be growing in water that seemed too warm for their liking. “It’s [puzzling], because deep sea octopuses tend to thrive in near freezing temperatures. Warm water speeds up their metabolism, causing them to use up too much oxygen. And indeed, when lead study author Anne Hartwell examined the octopods’ breathing patterns in hundreds of hours of video footage collected by an ROV and a crewed underwater vehicle, she learned that those in or near hydrothermal fluids were breathing faster, suggesting oxygen stress. “The researchers go on to speculate that females are drawn to the area because of the lack of sediment, which makes it easier to anchor their eggs, blissfully unaware of their new home’s thermostat problem. Scientists hope to restore damaged coral on the Great Barrier Reef with a technique that has seen success in the Philippines. As I was preparing this post on an effort to save the Great Barrier Reef, I stumbled upon the news that the 37-year-old ocean warrior behind the climate-change movie Revolution, Rob Stewart, died a year ago in a dive off Key Largo. That gives a whole different cast to my thoughts. I was going to say something about how happy he must be about the new coral-breeding program that offers a “glimmer of hope” to the Great Barrier Reef. Now it’s “how happy he would have been.” The world can ill-afford to lose an energetic ocean crusader like Stewart. As the Guardian reports, the coral-breeding project has seen success in the Philippines and is now being tried in Australia. “Scientists have stepped in as environmental matchmakers by breeding baby coral on the Great Barrier Reef in a move that could have worldwide significance. “Coral eggs and sperm were collected from Heron Island’s reef during [the November 2016] coral spawning to produce more than a million larvae. The larvae were returned to the wild and placed on to reef patches in underwater mesh tents, with 100 surviving and growing successfully. “The project has the ability to restore damaged coral populations and has seen similar success in the Philippines where blast fishing using explosives to kill schools of fish has destroyed coral. That’s because, as I learned watching Stewart’s movie, it’s the CO2 resulting from climate change that is the big danger. More at the Guardian, here. See also my review of the movie Revolution, here. On the principle that “one and one and 50 make a million,” a better world relies on everybody pitching in. Ordinary people can help scientists and other leaders of worthy initiatives. Lisa Mullins and Lynn Jolicoeur report at WBUR on one example. 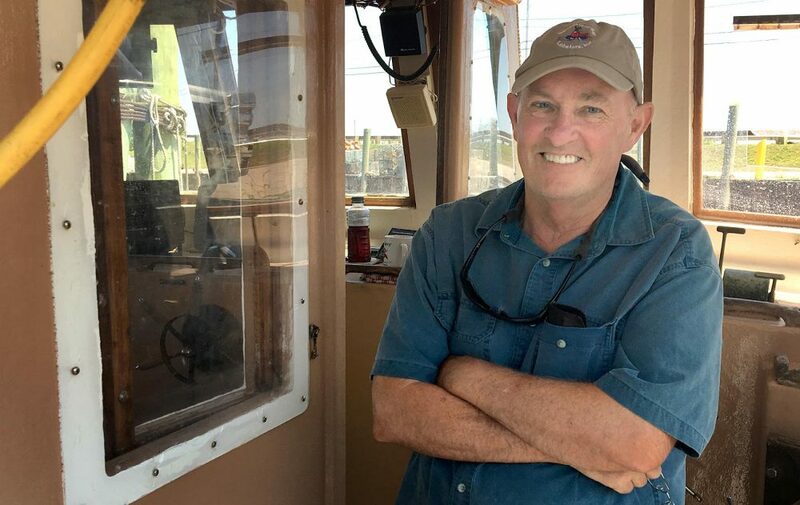 “It’s a cloudy, cool July morning, and we’ve come to the docks at Fairhaven Shipyard, near New Bedford, to meet Chris Parks. She’s a tall, elegant, retired Boston banker in jeans and a sweatshirt. “Parks is a volunteer with the Buzzards Bay Coalition. Residents formed the group 30 years ago to help the struggling bay. “She’s got a plastic bottle attached to a long metal pole. She submerges it and fills it with sea water. Then she pulls out her tool box full of vials and chemicals. She mixes and measures. “Parks determines the water is pretty cool on this day — 67 degrees. 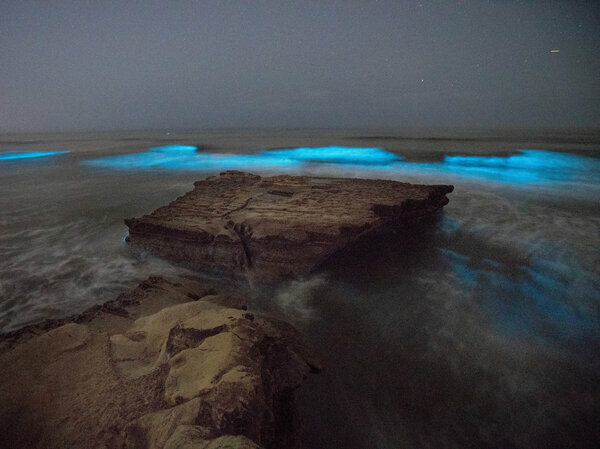 … In addition to temperature and clarity, Parks tests the water for how much salt and oxygen are in it. She’s been coming to this dock, fastidiously, one or two mornings a week for 17 years. “Jakuba says as researchers figure out how global warming fits into the bay pollution picture, citizen scientists will be key. Read how other fishermen are noticing ocean changes before scientists do and reporting back, here. We have a friend who sets lobster pots off New Shoreham, Rhode Island. His catch has gone down steadily over the past few years, so I know there is a problem. Lobsterman Mark Sweitzer works out of Point Judith, Rhode Island. Wallenius Wilhelmsen Logistics scooped two Singapore Environmental Achievement Awards for sustainability. In The Sea Around Us, Rachel Carson suggested that Earth’s oceans might be too vast for humans to completely ruin. At least that’s what I remember, but I was only 14 when I tried to tackle the grown-up books on my new school’s summer reading list. I wonder what Carson would say now, given that increased carbon dioxide is damaging reefs and many sea creatures. She might also be concerned about shipping, but as Hannah Koh reports at Eco-Business, sustainable practices are starting to appear. “Despite being in an industry that is predisposed towards environmental degradation, Swedish-Norwegian shipping company Wallenius Wilhelmsen Logistics (WWL) has not let the circumstances define it. “The company has been proactively putting in place measures to reduce sea and airborne pollutant emissions and set up an international coalition to champion the enforcement of sulphur emission regulations – critical to minimising the impact of the shipping industry. “Its initiatives impressed the judges of the Singapore Environmental Achievement Awards – which aims to increase the level of awareness and adoption of good environmental approaches within organisations, held by the non-profit Singapore Environment Council – that WWL won the SEC-CDL Outstanding Singapore Environmental Achievement Award and the SEC-MPA Singapore Environmental Achievement Award (Maritime). “Speaking to Future Ready Singapore in a phone interview, WWL’s head of sustainability Anna Larsson shares that the company’s award-winning approach to sustainability is guided by a combination of its long-term vision as well as immediate-term targets. “Experts have estimated that this will cost the industry some US$35 to $40 billion alone for the container shipping industry, at a time when the shipping industry is suffering its worst downturn ever.” More here. Gotta love those Swedes for biting the bullet!